Rovio’s smash hit game Angry Birds has finally landed on Facebook, becoming available on the world’s biggest social network with a number of unique features one day before Valentine’s Day, when it was officially scheduled to launch. 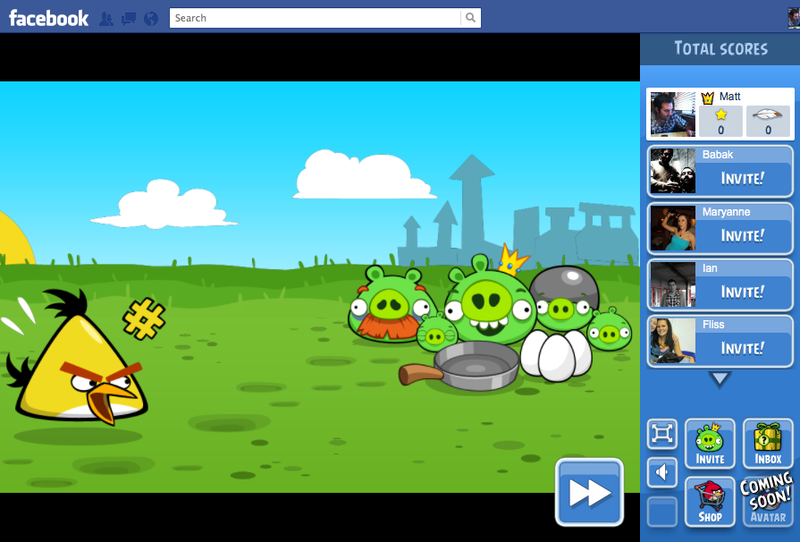 The Flash-based game debuts on Facebook with a selection of in-game options that make it easier for players, effectively allowing them to cheat and bypass more difficult levels by shaking the game screen or selectively targeting a pig. 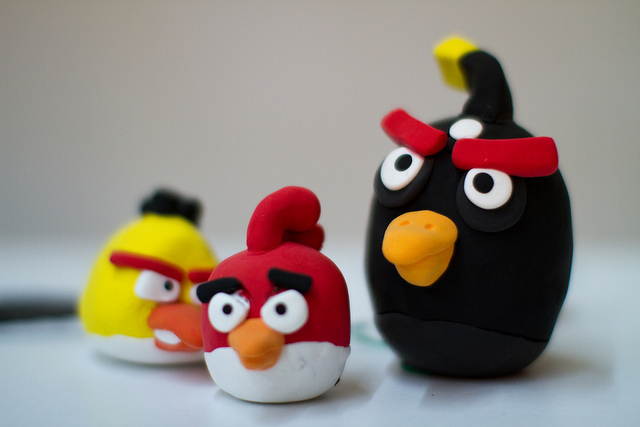 Power-ups are unique to Angry Birds on Facebook. There are 4 different types of power-ups and they can be accessed via the lightning bolt button at the top of the screen. You can use two power-ups per level. The four power ups are: Super Seeds, King Sling, Sling Scope and Birdquake. All power-ups have a different effect but ultimately make you more competitive against your friends by making your birds stronger or more accurate or even by shaking the earth itself! Being tied to Facebook, it also allows users to select from a small number of friends and challenge them to beat their high score within the app. Players can also gift power-ups to their friends via the Mystery Gift option, which is limited to one per friend each day. Rovio says you can also receive power-ups through daily rewards for visiting Angry Birds on Facebook on consecutive days or by purchasing via the shop, which can be found in the bottom right corner of the screen. The game is exactly the same as you will remember but launches with a few added extras. Rovio believes there is still life left in the franchise and has worked to monetize it on the world’s biggest social networking website. You can play it now by clicking this link.